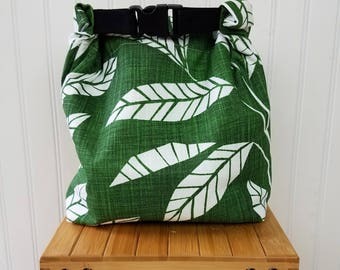 Free shipping to United States with $75 purchase from ThreadedRVA. See item details below for sale terms. 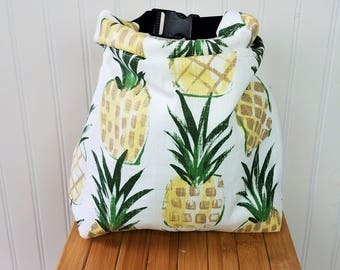 ♥ Pineapple beach bag - a classic large beach bag: beautiful, functional, and durable. Always Handmade! I am NOT a re-seller. 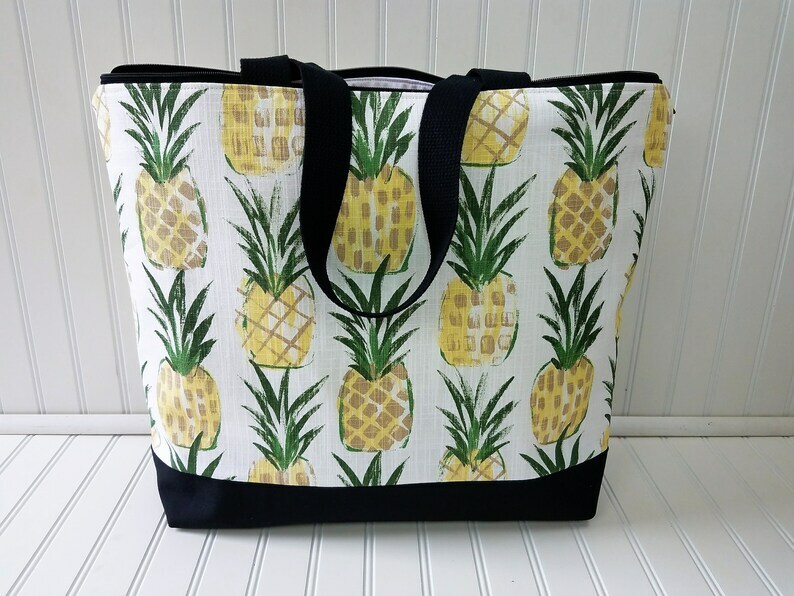 Waterproof liner makes this affordable beach tote perfect for outdoor excursions. There are two design options available and monogram options - read below and make your choice from the drop down menu. 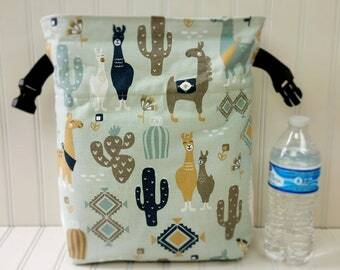 ♥ BASIC design - Bag holds 2-3 beach towels, has a waterproof lining with an interior pocket and a zipper closure. The bottom of the tote is squared to give you better depth for packing. 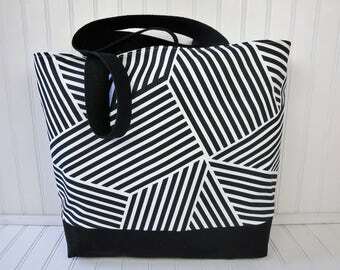 Overall, the bag is lightweight and will fold up easily to pack inside a suitcase. 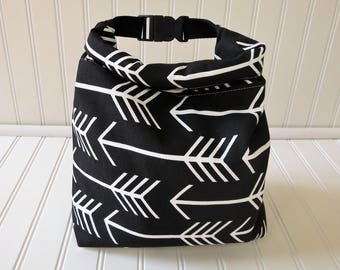 ♥ DELUXE design - The outside of the tote is made from an extremely durable 7 - 8 ounce medium weight cotton - the interior is made from waterproof PUL fabric. There is a MIDDLE LAYER between the two of heavyweight #10 canvas that allows the bag to stand on it's own and hold it's shape. 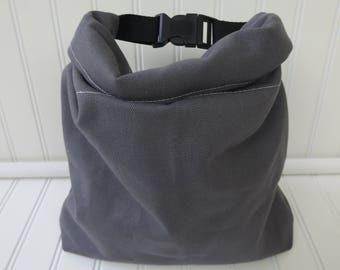 The bag has an interior pocket and a zipper closure. 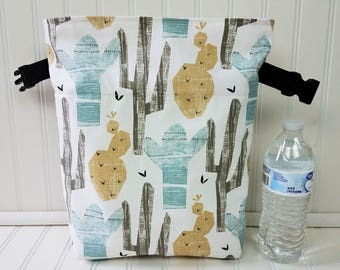 The bottom of the tote is squared to give you better depth for packing. Width at top - 21"
Width at bottom - 17"